The American Buffalo, also known as the Gold Buffalo, is a 24-karat gold bullion coin produced by the U.S. Mint. Among the newest gold bullion coins to be produced, it was authorized by the Presidential $1 Coin Act in December of 2005. American gold coins have traditionally been a mix of gold with silver and copper for hardness. Because of competition from international gold bullion coins with higher purity, Congress authorized the production of 99.99% pure American Buffalo gold coins. The first .9999 fine, 24-karat gold coins ever minted by the United States Mint, the Gold Buffalo offers a way to invest in physical gold in the form of coins whose purity and metal content is guaranteed by the U.S. government. Buffalo coins are packaged by the mint into Mylar and sold through a network of authorized dealers. Unlike previous U.S. gold coinage, like the American Gold Eagle, the American Buffalo is not a 22-karat (or .9167 fine) coin. This marks the first time in United States Mint history that a .9999 (or ‘four nines’) fineness gold coin has been produced and sold. Each coin contains exactly 1 troy ounce (31.1035 grams) of pure gold. Both the obverse and reverse of the coin feature designs first created by James Earle Fraser for the five-cent coin known as the “Indian Head” or “Buffalo Nickel” which debuted in 1913. The obverse features the profile of a Native American man, while the reverse depicts an American bison. The coin was first minted in 2006 at the U.S. Mint in West Point, New York. By law, all American Buffalo coins must contain gold from newly-mined sources within the U.S. Mintage is limited to 300,000 per year. 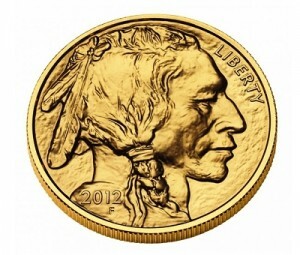 The gold Buffalo coin is currently only available in a one troy ounce size. The coin’s diameter is 1.287 inches (32.7mm), with a thickness of 0.116 inches (2.95mm). This is approximately the same size as a U.S. half-dollar coin. In 2008, the coins were also produced in three fractional sizes: 1/10, ¼, and ½ ounce. The U.S. Mint also produces Buffalo proof coins for collectors. Proof Buffalo coins are minted with a specialized process that results in softly frosted, highly detailed images over a mirror-finish background. 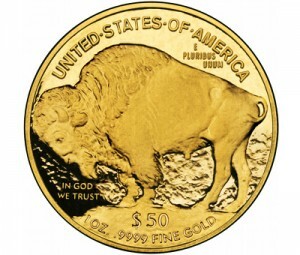 The design is otherwise nearly identical between the two versions of the Gold Buffalo. The proof version bears the mint mark “W” by the neck of the Indian; the bullion version does not bear a mint mark. With a face value of $50, these gold bullion coins are considered legal tender. However, their market value is much higher than this due to the value of the gold they contain. 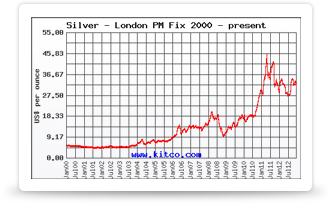 Their actual market value is dependent on the current spot price of gold, plus a small per-coin premium. The premiums for Gold Buffalo coins are generally slightly higher than the premiums for the U.S. Gold Eagle coin, the world’s best-selling gold bullion coin. With a distinctive American design, classic images, and high purity, the American gold Buffalo coin is valued by coin collectors and precious metal investors alike.